How to stream local video to Chromecast? How to use Chromecast to share desktop screen (and audio) to TV? How to use Videostream extension to stream local videos for Chromecast? How to use Android app to stream local media files to Chromecast? How to reset Chromecast (Factory Data Reset,FDR)? How to change Chromecast WiFi network? How to change Chromecast time format and time zone? How to use Chromecast backdrop to customize the TV screen? How to use Chromecast guest mode? Chromecast VS Amazon Fire TV stick: which one is for you? How to check and claim Chromecast offers? 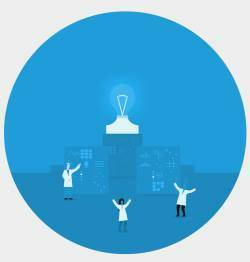 How to stream photos and videos on OneDrive to Chromecast? How to use the new Chromecast app? How to use Ethernet Adapter for Chromecast? Chromecast vs Chromecast Audio: which one is for you? How to setup Chromecast Audio? How to use Chromecast Audio to stream music? and how to control Chromecast Audio? What are the 3 compatible audio cables for Chromecast Audio? and why it matters? What are supported systems for Chromecast Audio companion device? How to factory data reset Chromecast Audio? How to use Chromecast Audio multi-room group playback? Should you upgrade to the latest Chormecast 2018 (3rd gen Chromecast)? 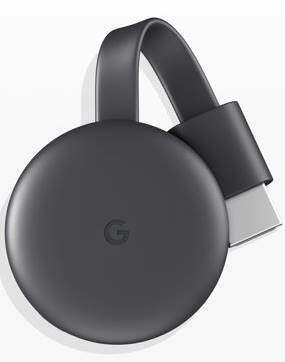 On October 9 2018, Google announced the 3rd generation of Chromecast (Chromecast 2018) as the successor of the 2nd generation of Chromecast (Chromecast 2015). There is no update for Chromecast Ultra or Chromecast Audio this year. This Chromecast guide explains the new features of Chroemcast 2018 (3rd gen of Chromecast), and whether it is worth to update your Chromecast. What are the new features in Chromecast 2018 (3rd gen of Chromecast)? Chromecast 2018 is a minor update to Chromecast 2015 (2nd gen Chromecast). So, there are no jaw-dropping new features in Chromecast 2018. Because Chromecast is so unique that there are no serious direct competitors in the market, it is hard to judge whether Chromecast 2018 is behind or ahead of the industry trends. With VLC media player 3.0, you can stream local music and movies to Chromecast, Chromecast Audio, and Google Home devices. Chromecast support was finally introduced in VLC media player 3.0. So, you can now easily use VLC media player on PC to stream music and video to Chromecast and Chromecast Audio. This adds one more method to stream local media files to Chromecast and Chromecast Audio. Please note, Google Home, Google Hoem Mini, and Google Home Max also support Chromecast. This means you can also use VLC media player on PC to stream music to those Google Home devices. Therefore, this guide also applies to Google Home devices. If you have an extensive collection of music and movies in the hard drive, you can stream them to TV with Chromecast or Chromecast Audio with various methods. With version 2.9.1, you can now use VLC for Android to stream local media to Chromecast. Videos and music files of all formats supported by VLC media player now can be streamed to Chromecast. Chromecast Ultra, Chromecast Audio, Google Home, Google Home Mini and Google Home Max. In this guide, I will try to use Chromecast to represent them all, instead of listing them all. For PC users, you can stream local video and music files to Chromecast very easily with VLC media player version 3.0 RC2 or later. This Chromecast guide shows you how to use VLC for Android to stream local media to Chromecast: installing the app, enrolling in the Android beta program, streaming local media with VLC for Android, and Chromecast streaming controls for VLC for Android. If you want to stream 4K contents, among Chromecast family (Chromecast, Chromecast Audio, and Chromecast Ultra), only Chromecast Ultra has this capability. But a lot of Chromecast Ultra owners found they cannot stream 4K contents with Chromecast Ultra. What are the possible causes? What are the solutions? This Chromecast guide first explains the requirements of using Chromecast to stream 4K contents, then show you the solutions for some problems related to streaming 4K contents with Chromecast Ultra. Chromecast Ultra is a very powerful streaming gadget. You can use Chromecast Ultra to stream 4K Ultra HD contents with HDR. 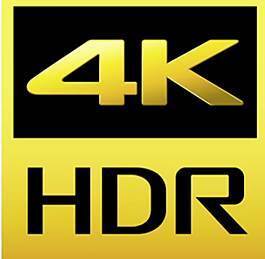 While normal Chromecast (Chromecast and Chromecast 2nd Generation) can only stream full HD contents (1080p) without HDR. Two methods to enable or disable Google Home and Chromecast casting notification (remote control notifications). What is the Google Home and Chromecast casting notification? With the release of Google Home, the Google cast app was renamed as Google Home app. Now, Chromecast (including Chromecast Ultra), Chromecast Audio and Google Home are all managed by the same Google Home app. One of the new features in Google Home app (through Google Play services on the phone) is the Google Home and Chromecast casting notification (remote control notifications) in all mobile devices that are connected to the same network as the casting devices. This means, by default, all mobile devices (with a Google account and the latest Google app) in the same network as casting devices now get the casting notification (remote control notification) when any of the casting devices is casting. Here casting devices include Chromecast, Chromecast 2nd Gen, Chromecast Ultra, Chromecast Audio and Google Home. Everything you need to know about Chromecast Ultra: what are the improvements and new features? whether you should get a Chromecast Ultra or just Chromecast 2nd Gen? On October 4, 2016, Google announced a new $69 (not $35) Chromecast device: Chromecast Ultra. This actually the 3rd generation of Chromecast. Chromecast (1st gen) was released in 2013. Chromecast 2nd gen and Chromecast Audio were announced in 2015. This post will try to help you understand the differences between Chromecast 2nd Gen and Chromecast Ultra, and help you decide whether you need a Chromecast Ultra. Is Chromecast Ultra for 4K TV only? One of the most prominent features of Chromecast Ultra is supporting 4K video streaming. But this does NOT mean Chromecast Ultra is only for 4K TV owners. Chromecast Preview Program is a free opt-in program for Chromecast device owners to enjoy the latest version of Chromecast’s firmware before it is made broadly available. This guide covers everything you need to know about this program. What is Chromecast Preview Program? As a proud owner of the $35 Chromecast device, you already know the software in the dongle is always updated automatically. Google never asks you to update, or reboot to update. So, you can enjoy the Chromecast without wasting any time on updating the firmware/OS. On September 13, 2016, Google released Chromecast Preview Program for opt-in Chromecast owners to enjoy the new features and new version of software before such updates are broadly available. In other words, Chromecast Preview Program, if opt-in, puts your Chromecast device in a special channel that receives software udpate before Google makes the update available for all other devices. You can launch Videostream for Google cast app, and other Chrome apps, in three different ways: from Chrome apps page, using desktop shortcut, and using bookmarks bar. This guide shows you the detailed steps to use these 3 methods to launch Videostream and other Chrome apps. As explained in this page, Videostream for Google cast is one of the best solutions to stream local contents to Chromecast. It is both powerful enough and simple enough for most Chromecast owners. We also published a detailed guide on how to use Videostream extension to stream local contents to Chromecast. 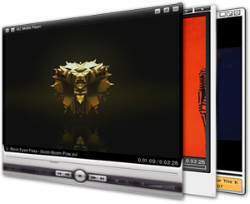 But one of the most common questions asked is how to launch Videosteram after initial installation. Videosteram for Google cast is just a normal Chrome app. So, you can launch Videostream just like launching other Chrome apps. This is a simple job for Chromebook users, or seasoned Chrome users. But for many new and casual Chrome users, it can be very confusing about how to launch Chrome app after the installation. 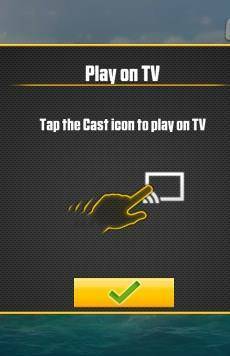 There are many Chromecast-enabled (cast-ready) apps for Android and iOS. You can easily enjoy the game on the TV and use your Android or iOS devices as game controller. This guide shows you how to play games on Chromecast from mobile devices (Android and iOS). The differences (and advantages) between playing games on Chromecast from mobile devices and Android screen mirroring are also explained. Two of the new features for Chromecast and Chromecast Audio are multi-room group playback for Chromecast Audio (for Chromecast Audio only) and playing games on Chromecast through Android and iOS devices (for Chromecast only, including 1st generation Chromecast). Please refer to this guide on how to use Chromecast Audio multi-room group playback. For Chromecast-enabled apps, you can cast the game to the TV through Chromecast. Your mobile device then can act as a game controller and can display other info. You can also challenge your friends or family members with multi-player games. Please note, playing Chromecast-enabled games on Android and iOS devices is fundamentally different from Android screen mirroring (Android screen casting). When you play Chromecast-enabled games on Android and iOS devices, you get split view of the game, not simply mirroring the screen. Comparing Chromecast Audio vs Bluetooth on audio quality, battery usage on mobile devices and requirements to help you find the best solution if you want to use both of them. 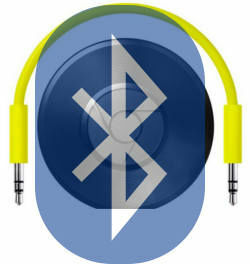 When Chromecast Audio was announced, a lot of people want to know the advantages and disadvantages of Chromecast Audio vs Bluetooth. This is a natural question because Bluetooth speaker is readily available in all countries and regions. Most families have a few Bluetooth speakers, which may be given free when purchasing some expensive home appliances. Chromecast Audio is new, although Chromecast is about 2 years old. Even, some Chromecast owners may have some misunderstandings on Chromecast Audio. If you are not sure about the difference between Chromecast and Chromecast Audio, or you are not sure about how Chromecast Audio streams music, you may check our Chromecast Audio guides page. Disclaimer: Chrome, Chromecast are trademarks of Google Inc. This website is NOT affiliated with Google Inc in any way. 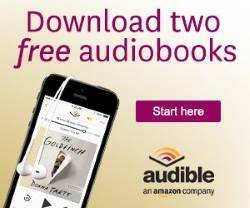 All the information provided on this website is provided on an "as is" and "as available" basis and you agree that you use such information entirely at your own risk.